According to AAA, the Sticker Price (MSRP) is marked up by an average of 13.5% from what the dealer actually paid for the vehicle. What scares us about car negotiations? Our preconceived notions of “not getting a good deal” or being subjected to “slimy dealer tactics”? Could it be how infrequently we make large purchases and the costs associated with them? With double-digit markups, it seems like new car buyers would be more more diligent in their research and more aggressive with their negotiations. Mrs. FinEngr and I first started talking about the idea of a new car back in August of 2009. Not really entering the market until early September of 2010, we worked with Geoff, the Car Negotiation Coach, on strategies to secure the best possible price. 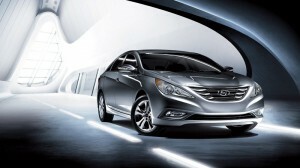 New Year’s Eve Day, we purchased a 2011 Hyundai Sonata. *It’s hard for me to believe the dealer actually took a loss on our sale. At a minimum I know they got very little to no profit off us. Different sources and price profiles came back with savings from 0.5% to 6.0% under Dealer Cost. Mrs. FinEngr has been on a car-free diet for the past 4 years. She’s relied on public transportation and her own feet to get around town. An added bonus – her transportation costs $0 since her employer subsidizes mass transit services. I’ve been driving the same used car for 11 years now. The Red Rocket has over 120,000 miles, but will be kept until its run into the ground. I’m hoping for another 10 years, but Mrs. FinEngr isn’t as enthusiastic as I am. Whatever the future holds, we ultimately plan on maintaining a 1 car household for as long as we remain in the Washington, DC area. Never thought I’d pegged myself as a new car buyer, always felt I’ve live and die by the used car mantra. After the excess of new vehicles following the economic downturn, I changed my tune. Sales have steadily increased since then, but there’s still a surplus on dealers’ lots. Since we’d been planning for so long, we’d been stockpiling cash so as to avoid relying on a hefty loan. Considering used vehicles for some time, the market lacked a comparable inventory to the new models. Looking at dealers within our immediate area, we found over 500 new vehicles in stock of the exact same model; the used options barely reached 100 and included different models. Part of the decision to buy new came from the specific vehicle we were considering. We ended up selecting the Sonata for a variety of reasons. Other makes still held true to their “base” model name, but the Sonata was a major upgrade. The standard features offered in the base model simply blew us away. Considering our buy & hold approach with vehicles, the warranties offered were top of class and will hopefully reduce our total ownership cost over time. Gas mileage was a concern of mine and safety ratings was a big one for Mrs. FinEngr – the Sonata met both these requests. We opted for the trifecta of timing – end of month, end of quarter, and end of year. Scheduling our negotiations for the last week of the year, we guaranteed dealers a sale on December 31, 2010 hoping to capitalize on their incentives to meet various quotas. Ever notice the increase in car ads during the Christmas season? “Experts say the best times of the year to buy a car are during the last two weeks of December… Car lots are often nearly deserted during the busy holidays. The slowdown motivates dealers to cut costs.” After some more research, it turns out December can be one of the lowest months for total sales. My #1 suggestion? Never use a singular source! With tons of websites offering advice, you should always cross reference the validity of the material against other sources. But for your convenience, here’s a breakdown of the usefulness levels. Auto Clubs & Enthusiast Forums. Once you know what model you’re looking at, check out any regional or national clubs or forums. Some people are just nuts about their cars and willing to bare all to other enthusiasts. Find out about long-term performance, maintenance hangups, actual negotiated costs, expected level of service, and so on. Auto-Affiliated Services. Sites like TrueCar have emerged providing consumers with specific data based on actual sales. However, the reported figures are sometimes estimated (if you read the fine print) and may not reflect the absolute market data. I also noticed discrepancies between reported figures between the sites, so the reliability comes into question. Consumer Advocacy Organizations. Consumer Reports and AAA have been in the game for a long time and are reliable sources. Most of the best information is offered at cost though and there are limited free services available. Believe it or not, all the major financial websites I scanned gave fairly useless advice. If you are just learning what a car is for the first time, start with these “top 10 tips” and work your way up through the levels. Needless to say, you should never negotiate a new car off the Factory Invoice let along the MSRP. Don’t be fooled into looking at the base quote either as that may only capture 80% of the vehicle’s “final” cost. Edmunds provides a decent listing of the various other costs tied into purchases like: Dealer Holdback, Incentives, and Document Fees. Each site differs in what they consider “reasonable” charges, but they all agree most of these line items are negotiable. Review each of the proposals to ensure no additional dealer fees are included. As far as I see it, these are markups on the markups. And avoid extras at all costs. Whatever the dealer offers can be gotten for cheaper directly from the third party. These are all ways for dealers to reclaim profit from whatever “deals” they offer you initially. For the actual purchasing, we utilized the Email Price Reduction process outlined by Geoff. Instead of reviewing it here, feel free to browse his site. We followed the process for the most part with a few minor tweaks of my own. The entire ordeal took less than 1 week. Dealers began dropping like flies after only the 2nd round of emails. Even after the best offer, I still went back and asked if they could shave more off. They didn’t, but we did get a few extra accessories for no added cost. At the dealership we never discussed costs except to review the agreed-to pricing. There was no haggling or surprise changes – it was a presentation and signature of the paperwork followed by us driving off the lot. First things first – you are NEVER stealing from a dealer. Ingrain this into your brain. If anything you are the bank, the dealer is the robber, and your negotiations are the safeguard to your vault. Once dealers recognize they are losing your business, they can resort to some interesting tactics. I was surprised with how desperate the emails became when this happened. They referred to themselves as my “honest neighbor” or “humble servant”, offered a list of intangible (read: no monetary) benefits, and some became quite blunt. I was told the other dealers were lying to me and I shouldn’t be wasting their time. Seriously? You must recognize you are buying a commodity, and there is nothing special about any specific vehicle at any particular dealer. Since vehicles are a relatively fixed cost, profitability becomes a function of how well dealerships can work off your emotions. Unfortunately, many people fall victim at this point. Don’t. Somehow dealerships make themselves whole, so don’t feel guilted into giving them any more money than absolutely necessary. If they start complaining about their commission or manufacturer fees this is nothing more than panhandling and not your problem. There’s a tendency for complacency to kick in once a deal is struck. There’s this wave of relief after all the effort to negotiate that we forget there’s still more work to be done. Until the deal has been finalized with your signature, you should remain mentality alert. During the sales contract review, we caught a $20 clerical error because of our diligence. Constantly working the numbers forwards and backwards to make sure everything lined up, we noticed that one print-out differed from one we just discussed. It may seem minor, but we actually saved ourselves more than the $20 since taxes are a percentage of the overall total. And there you have it. We are extremely happy with our purchase and loving our new car. Considering everything in the Red Rocket is manual, the Blue Bomber (tentative new name in honor of my fighter-pilot grandfather) has been a real lap of luxury. Geoff recently posted my comments to his own site. When it’s all said and done, the satisfaction with your purchase has a lot to do with the actual purchasing process. I’ve been going through the numbers many times to see if we really got the “best deal” and was convinced we did well after scanning the used listings. Turns out – we couldn’t buy the same model for the same price without a ton of miles on it! Isn’t the internet great? You can hold the cards, and you don’t have vultures hovering over you trying to steer you toward the highest profit-margin vehicle. Congrats on your purchase, and I hope the blue bomber last even longer than the Red Rocket. Also, thanks for sharing your story. It is always good to see how these approaches work in the real world! I wasn’t sure how this was going to work and was expecting MUCH more dealer resistance. Part of my job entails negotiations on proposals for hundreds of thousands and we sometimes spend days getting to a final deal. And when you know the facts, its much harder for them to dispute. The Red Rocket was recently renamed from Red Baron *from my driving habits ;) Thanks again for the comment & hopefully you got some tidbits for the future. Hey, I’m glad to find someone that concurs with my findings that Hyundai offers great value right now. It sounds like our journey to buy new was roughly the same. I don’t think I got quite as good a deal as you did. I got about 800 off MSRP on my Elantra, but since the model was only a couple months old and has been flying off of shelves across the country (I’ll take this as a good sign) I only got that small discount after a lot of arm twisting and online comparison back-and-forth. I have definitely enjoyed my car so far. Are you going to fully follow the recommended maintenance schedule from Hyundai? I think I will since I’m not mechanically inclined and I really want the vehicle to last (same “buy and hold” philosophy as yourself). We actually used the suggestions outlined by Yakezie member Car Negotiation Coach. It was not as difficult as I originally anticipated. As for maintenance, I plan to remain diligent with the schedule since our other car is over 11 years old and running great (I use Excel to track all previous and upcoming repairs). Did you see that much of the regular maintenance doesn’t start until 7,500? This is very good advice and sorely needed by car buyers. People love cars, but hate the whole car buying experience. Using the internet at home and getting quotes is an ideal way of reducing the stress while also getting the very best price. Congrats on your deal, incidentally, I also bought a 2011 Sonata and have been quite pleased so far.